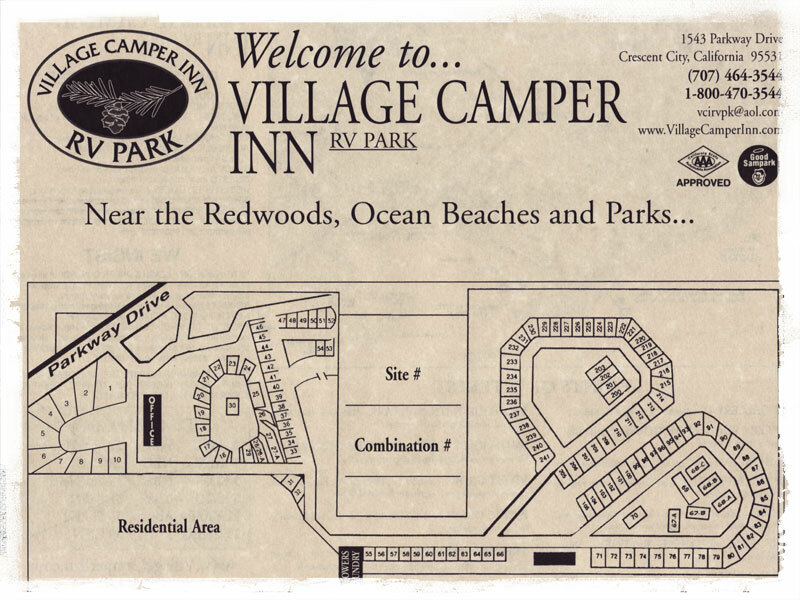 Our Crescent City campground has a natural feel with tall trees and open green space, yet offers level full hookup RV Park sites and convenient amenities. You can request a wooded or sunny campsite. Our summer guests tell us they enjoy our cool shady sites to escape the heat. Pickle Ball Court, Come and play on our brand new pickle ball courts! 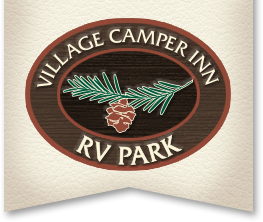 Village Camper Inn has a Cozy Vacation Cabin available that sleeps up to 4 people. The nightly rate is $81.50 and includes all amenities at The Village. Electric is included and Water is at the site. Minimum two night reservation required. Bring everything but the tent ! Our location between the Giant Redwoods and the Pacific coast, at Crescent City California, makes for convenient access to the fascinating rugged shoreline, the majesty of giant redwoods, and attractions in the city.